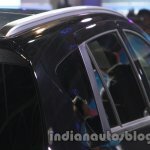 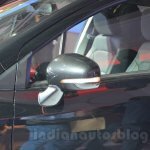 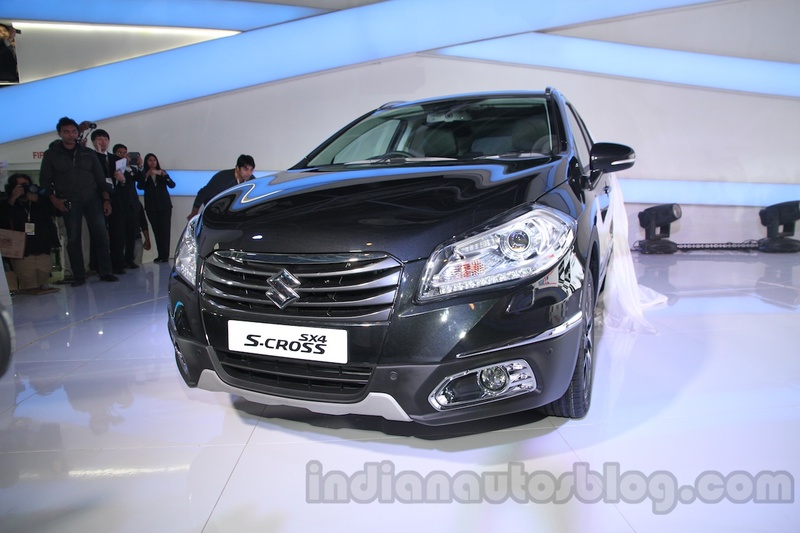 The Maruti SX4 S-Cross had its Indian premiere at the Auto Expo today. 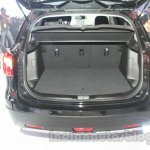 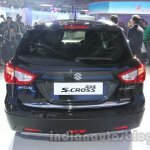 The SX4 S-Cross, which is considered a successor to the SX4 hatchback in international markets, was revealed in March last year at the Geneva Motor Show. 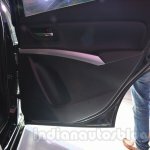 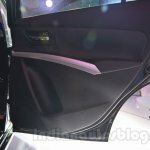 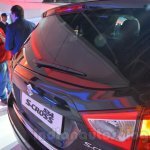 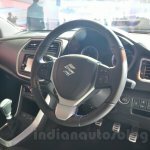 The car shown today in a Black color comes with features such as Suzuki's ALLGRIP 4WD system and a double sliding glass sunroof. 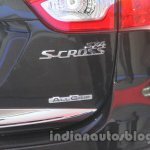 Maruti also points out that the S-Cross is rated 5-stars by the Euro NCAP for its crash safety protection. 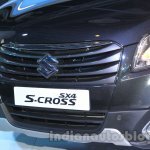 Internationally, the S-Cross is available with a petrol and a diesel engine. 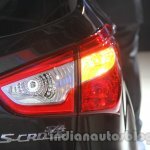 The 1.6-liter petrol motor outputs 120 PS at 6,000 rpm and 156 Nm of torque at 4,400 rpm. 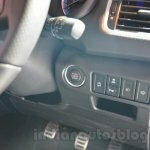 The petrol motor is paired to a 5-speed manual transmission or a CVT gearbox, which sends power to the front wheels in case of the 2WD model and all four wheels on the AWD model. 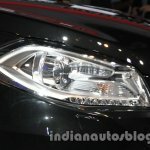 The diesel engine in question is Fiat's 1.6-liter MultiJet engine producing 120 PS at 3,750 rpm and 320 Nm of torque at 1,750 rpm. 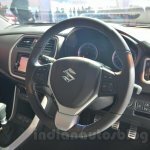 It comes paired to a 6-speed manual gearbox, available in 2WD and 4WD specs. 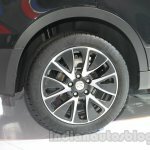 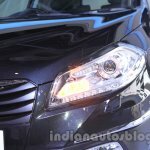 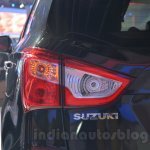 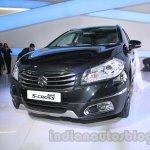 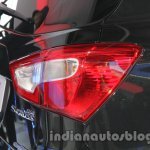 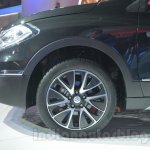 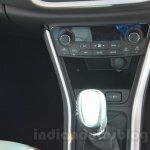 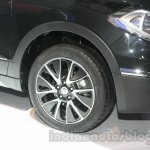 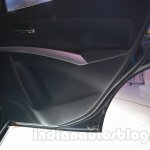 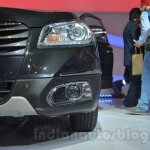 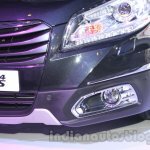 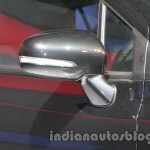 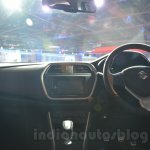 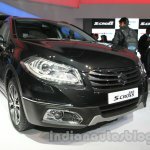 The SX4 S-Cross is reported to launch in India early next year. 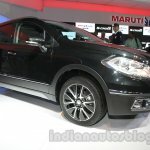 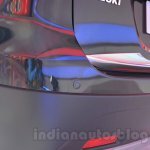 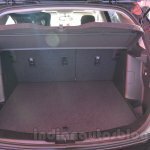 An earlier newspaper report indicated that Maruti would import Fiat's 1.6-liter MultiJet engine to power the diesel variants of the crossover.